Lindis Leveling Priority: Piercing Gaze is your first choice. Lindis Play sample: When fighting in lane fight from the brush, since it will give you bonus movement speed and damage. Place few Entrapments at places where enemy jungler is likely to move. In team fights stay behind your tanks and position yourself to use the brush to kite the enemies that might be diving you, or chase down low HP Heroes. Never face-check the brush when enemies are missing. If the enemy is nowhere to be seen or if they have some stealth Heroes likes of Batman and Quillen, use your Piercing Gaze to reveal them. Always use your Piercing Gaze ahead, for both you and your teammates. When attacking enemies, move between attacks, and always keep the optimal distance between you and your target (ultimate helps a lot here as can be cast while on the move). When Lindis passes through the brush, she will increase her movement speed (25/30/35/40)% and strengthen her next normal attack for 2.5s. 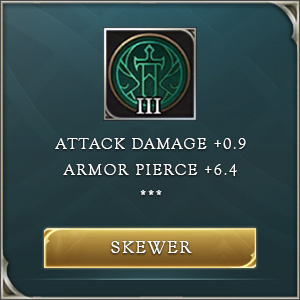 The strengthened attack will fire 2 arrows with each arrow dealing (+65% of AD) physical damage. Strengthened attack duration will last 2.5 seconds. 4-second cooldown. After learning this ability, when Lindis hits the same enemy 3 times, the target will suffer an additional 140/210/280/350/420/490 (+20% of AD) physical damage. Lindis sets a trap that lasts for 2 minutes. The trap will slow enemy movement speed by 30%, reveal enemy locations, and after a short while deal 360/432/504/576/648/720 (+120% of AD) physical damage. Lindis can store and set up to 2 traps. Traps will become invisible 2 seconds after being set. Lindis calls forth a spirit to attack enemies, dealing 160/240/320 (+100% of AD) physical damage and adding any bonus normal attack effects from equipped items or buffs. 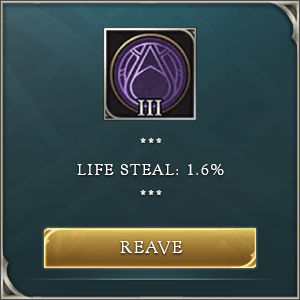 She can store this ability up to 5 times. 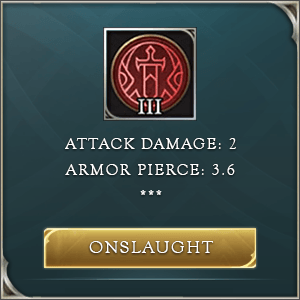 -High burst damage. If you use your ultimate to properly reset auto attack animation, it will result in great burst damage. Also, procs from items such as Omni Arms or Frost Cape works with your ultimate, and boosts your burst potential even more. -Movement and positioning. Lindis has a great toolkit to move around the battlefield and to position herself in such a way that it is very difficult for enemies to get close to her. Utilizing her passive ability is the key to both maximizing your burst damage and for dealing damage from a safe distance and kiting enemies. She is also good at chasing down targets as her ultimate can be cast while moving, and it is great for finishing low hp running targets. -Weak to crowd control and burst damage. You have to be extremely careful with how you position yourself in combat. One misstep can lead to enemies bursting you down in a manner of seconds. Always be on alert when enemies are missing, and do not hesitate to use your Piercing Gaze before face-checking any brush, or you may end up dead. -Mobility. While Lindis has great movement speed capabilities, she lacks escape tools. If an enemy dives you, in most situations, you will end up either dead or run away with a very low health bar. Always be aware of the enemy’s position and never rush head-first into the fight. -Lack of poke. Other Marksman Heroes such as Violet, Tel’Annas, Yorn, Slimz or The Joker all have good poke options for laning. This is one of your disadvantages, so be very careful in the early stages of the game. Piercing Gaze is your first choice. You should almost always play as a jungler. Playing in lane is suboptimal because while jungling Lindis can use brushes to a great extent. Also, while ganking, make sure to use your traps to help you out with clearing waves fast, as well as harassing the enemy Hero whenever you can. Make sure to use that great amount of speed gained from entering brush so you can come to aid to an ally. Keep in mind it also strengthened attack applies with two stacks of the Piercing Gaze debuff on the enemy, so use that to your advantage. When fighting in lane, try to fight from the brush, since it will give you bonus movement speed and damage, and those things can be key to winning lane fights. When you spot an enemy jungler coming to gank your lane, always use traps to slow him down and buy yourself and your lane partner time to back away from the gank. When your jungler comes to gank, use traps to slow enemies down and prevent their retreat. Always help your jungler when they are killing the Abyssal Dragon, since that extra Gold and XP will help the entire team. Whenever you can, kill the jungle creeps to gain some bonus experience and gold. AoV Lindis in Team fights: In team fights you should always stay behind your tanks. Try to position yourself so that you can use the brush to your advantage to kite the enemies that might be diving you, or to chase down low HP Heroes. If the enemy is nowhere to be seen or if they have some stealth Heroes like the Batman, use your Piercing Gaze to reveal them. Never face-check the brush when enemies are missing. Always use your Piercing Gaze ahead, as it will save both you and your teammates. When attacking enemies, try to always move between attacks, and always keep the optimal distance between you and your target. As a general rule for Marksman: “Always attack the target that is closest to you in the team fight”. If you walk too much forward you will expose yourself both to the enemy front and back line, and you will most likely be CC-ed or bursted down quickly. If you can choose who to target, go for the enemy assassins first, as it will prevent them from killing your back line thus giving you an edge in team fights.